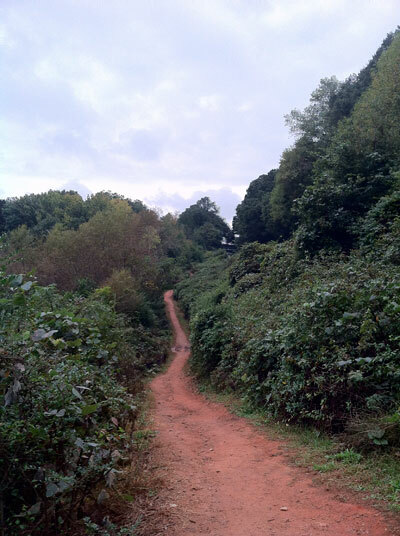 Oconee Forest Park has over 1.5 miles of hiking trails. The trails guide the hiker through the 100-year-old oak-hickory forest, along the Lake Herrick shore, and into open areas of landscaped lawn. 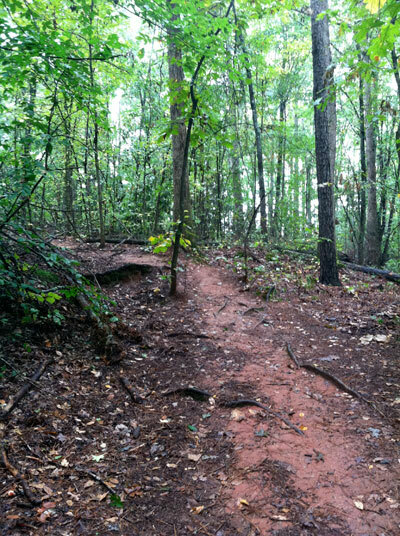 Oconee Forest Park provides a 1.2 mile mountain bike trail. Begin the mountain bike trail at the southern entrance to the park and follow the signs. The trail traverses gravel roads and single track woods trails forming a clockwise loop. 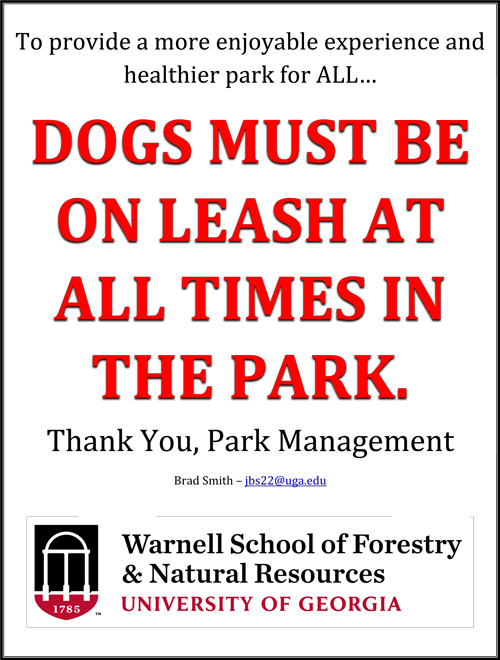 Mountain bikers please respect the rights of other park visitors by avoiding park trails closed to mountain bikes. 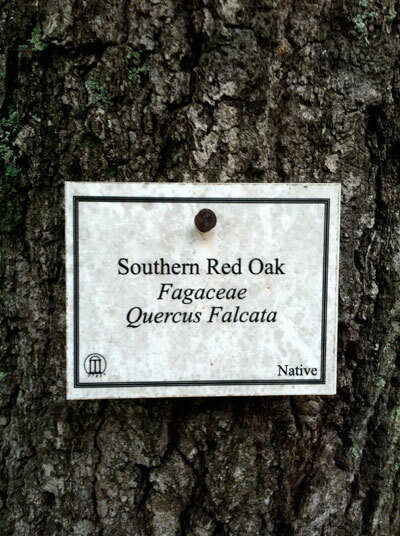 The Tree Trail is a series of labeled trees and shrubs located along the park's trails. Tags are attached either to the tree (about 8 feet high) or to an adjacent metal pole. The tree numbers found on the brochure map mark the approximate location of each specimen and correspond to the numbered names inside the brochure. 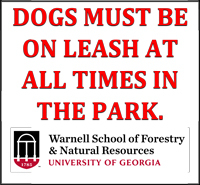 To see a list of trees found in Oconee Forest Park, click here. 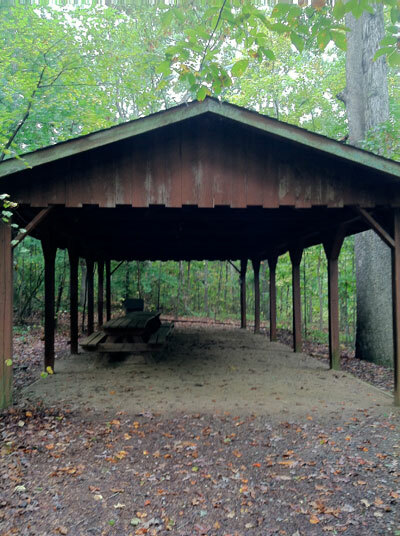 A picnic shelter is available to groups as well as individuals on a first-come, first-serve basis. 3 Picnic tables, 1 trashcan, and a water spout. Oconee Forest Park is home to an abundance of wildlife. 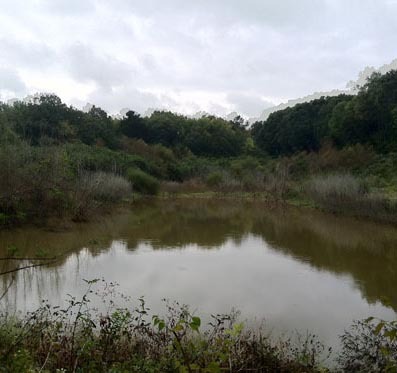 This pond is located next to the off-leash area, and is a sanctuary to many birds, mammals, and herpetofauna. The challenge course is a great opportunity for groups to build skills and team work. These high and low course elements are not open to the public without supervision of trained staff. Please contact Josh Fulmer to use these facilities as a group, or go to the Challenge Course website to find more information. College Station & Alumni Dr.